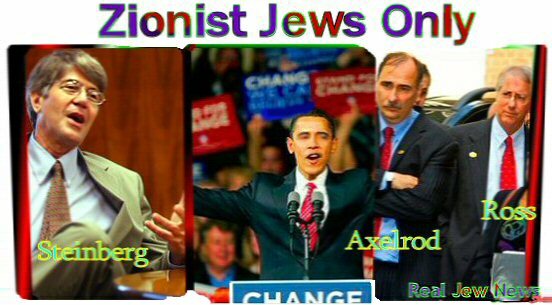 “ONLY JEWS MAKE UP OBAMA’S NEW MIDDLE EAST TEAM,” reported an outspoken journalist for the New York Times, on January 11, 2009. “The team,” reported Roger Cohen, “includes Dennis Ross (former Clinton Mid-East envoy); James Steinberg (as deputy Secretary of State); Dan Kurtzer (former US ambassador to Israel); and Dan Shapiro (a longtime Obama aide). Recognizing the imbalance of only Jews being on the negotiating team, Obama announced the appointment of former Senator, George Mitchell, as his “Middle East envoy.” Obama will be sending Mitchell to meet with Israeli leaders & Palestinian President Mahmoud Abbas. Obama mentions nothing about the Gaza invasion (and the slaughter of civilians by Israel), nor any negotiations with Hamas & Hezboullah, (the real players in the Palestinian-Israeli conflict). But rather, it’s the same old players involved in the “negotiating process” by which Israel always gets its way. “The political pressures to which America is now subjected will impel us toward an injurious position where we would shoulder major responsibility for the maintenance, and even the expansion, of a Jewish state in Palestine. If we do not effect a radical reversal of our policy to date, we will end up being ourselves militarily responsible for the protection of the Jewish population in Palestine against the declared hostility of the Arab world.” View Entire Story Here & Here. In the end, Truman, who needed Jewish votes & Jewish money for his upcoming re-election bid in November of 1948, caved under Jewish pressure, when he recognized the rogue state of Israel on May 14, 1948. 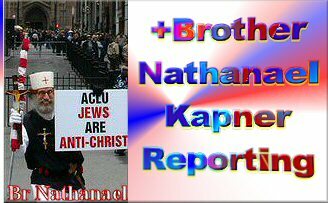 DESPITE THE FACT THAT JEWS make up less than 2% of the US population, the Jewish Lobby in America, represented primarily by the American Israel Public Affairs Committee (AIPAC), has managed to hijack the foreign policies of the US government. “The overall thrust of US policy in the Middle East is due almost entirely to the activities of the Israel Lobby. The Israel Lobby has managed to divert US foreign policy far from what American national interest would otherwise suggest. Generous aid to Israel might be justified if America received substantial benefits in return. If Israel possessed vital natural resources such as oil or natural gas, or if it occupied a critical geographic location, then the US might want to provide support in order to maintain good relations and keep it out of unfriendly hands. Israel’s strategic value to the United States would be further enhanced if backing it won America additional friends around the world and did not undermine US relations with other strategically important countries.” View Entire Story Here. Along with underlining the global “Anti-Americanism” caused by US support for Israel, Mearsheimer & Walt question the argument that Israel is a true ally of America. For in 2004, the authors write, a key Pentagon official, Larry Franklin, a Zionist Jew, was arrested on charges of passing classified information regarding US policy toward Iran to an Israeli diplomat, with the assistance of two senior AIPAC officials, Steven Rosen and Keith Weisman. Franklin accepted a plea bargain and was sentenced to only twelve years in prison. But Rosen and Weisman, owing to AIPAC’s political & financial clout in Washington, remain free. View Background On The Story Here.